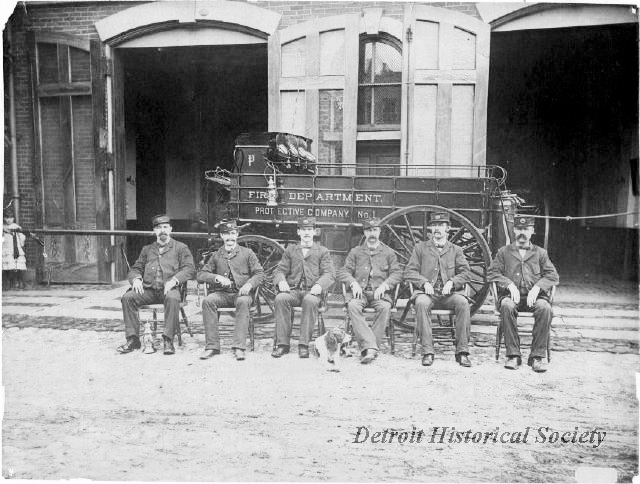 Description: Group portrait photograph of six members of Detroit Fire Department Protective Company No. 1, a Salvage Company, seated in chairs in the street in front of their horse-drawn apparatus. Firehouse location and ID unknown.